In 2014 we began the exciting business of Ranching for Wildlife. With the lease of the Visintainer (Sheep Company) property, we've engaged in a relationship with people who are our kindred spirits. This 53,000-acre property has been in the Ranching for Wildlife program for many years, and the Visintainers have managed the property for wildlife and hunting opportunities while continuing their sheep and cattle operation. 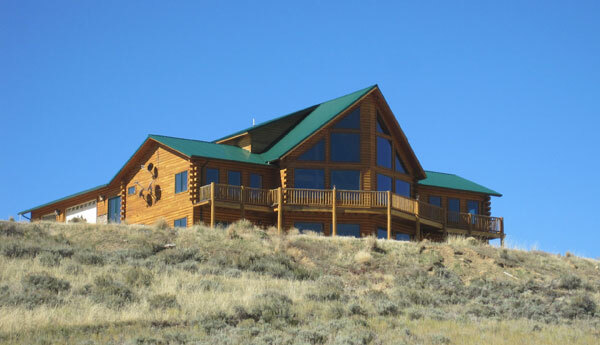 The property is well known for its big numbers of trophy antelope, mule deer, and elk. Ranging from 8,000' oak brush and aspens down to 5,300' rolling sagebrush hills, the Visintainer properties are home to an incredibly diverse ecosystem. 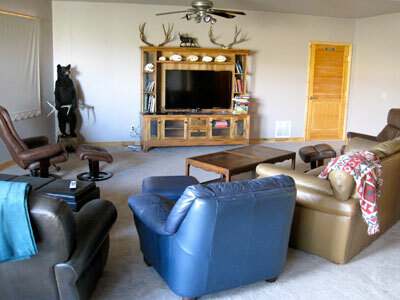 This ranch has been managed for wildlife and hunting opportunities and is well known as one of the premier ranches in Northwest Colorado for trophy antelope, trophy mule deer, and incredible numbers of migrating elk. Ranch owners Gary Visintainer and his father, Dean, of Visintainer Sheep Co. received the 2013 Leopold Conservation Award in Colorado for outstanding commitment to range health and emphasis on wildlife. The practices employed by the Visintainer Sheep Company have created a refuge for many wildlife species including but not limited to antelope, mule deer, elk, sage and sharptail grouse. Visintainers' ideas on habitat and wildlife management fit very nicely into our program here at Nine Mile and so we are very excited to partner with this great ranch and expand our hunting opportunities. Being part of the Ranching for Wildlife program allows us to have a 90-day season for each individual species and set our own season dates. This means we can offer some very sought-after rut hunts for antelope, mule deer, and elk, as well as late-season elk hunts for huge herds of migrating elk that winter on the Visintainer properties. And all this can be done with any legal weapon. We will also have guaranteed tags for all species available for you. Two features of Ranching for Wildlife that make it a special opportunity are the fact that tags are guaranteed (once you book your hunt) and you can use any legal weapon during the designated seasons. Each species - antelope, mule deer, elk - will have a 90-day season. Photos from 2016 successful hunts! 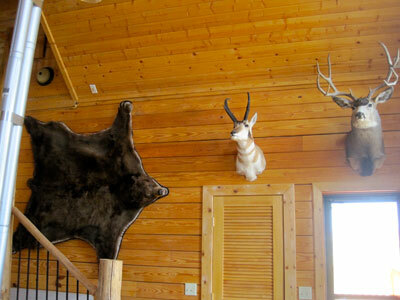 The Visintainer Ranch has historically produced some of the largest numbers and best trophy quality antelope in Colorado. 70 inch bucks are common with the chance of a "Booner" possible any day. Antelope hunts are $3,000 for three days and start mid-August. If possible, additional hunt days may be purchased at $500 per day. The mule deer herd on this ranch is incredible! Well known for producing big bucks, this ranch is the premier spot to hunt trophy mule deer bucks. Bucks in the 160-180-inch range are the norm with larger bucks possible. Our 90-day mule deer season will offer the possibility of hunting the much-sought-after late November rut! If you want a truly exciting rut hunt for a monster mule deer buck, this is the place to be! Mule deer hunts are $6,500 for five-day hunts. Rut hunts (mid November to December 1) are $7,000. A limited number of early-season elk hunts will be available giving us the opportunity to offer exciting bugle hunts, archery, muzzleloader, rifle, .. take your pick! As the season progress, more and more elk will seek refuge on the ranch with its abundant feed and water sources. Finally, a late-season migration will put literally thousands of elk on the lower winter grounds where we can hunt them into the month of December. This is a unique ranch with both high country resident elk and huge migrating herds that will winter on the lower elevations! In all cases, the license is an additional cost. 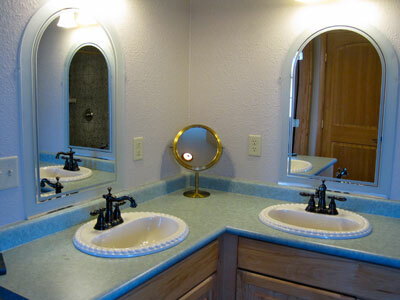 The prices are as set and published by the Colorado Parks and Wildlife. The licenses are guaranteed for private hunters. The charge for non-hunting guests is $1,500 and advance reservations are required. You must have a Hunter's Safety Card to purchase a hunting license and hunt in the state of Colorado if you were born on or after January 1, 1949. You must also carry your Hunter's Safety Card with you in the field unless your license is verified with the Colorado Parks and Wildlife (CPW). 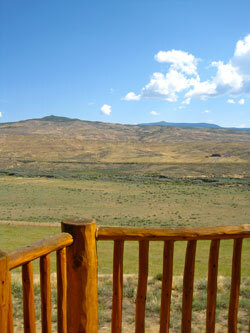 Accommodation for the Ranching for Wildlife hunters is at our lodge, which is convenient to the hunting. 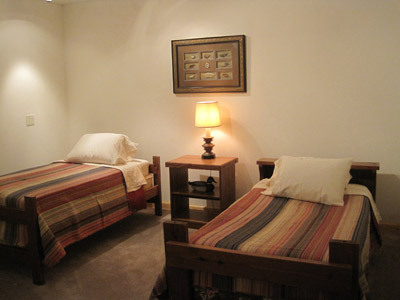 Boasting big views and plenty of room, you will be assured comfort and modern conveniences while in camp.